Celebrate the wedding of the year with your own keepsake. 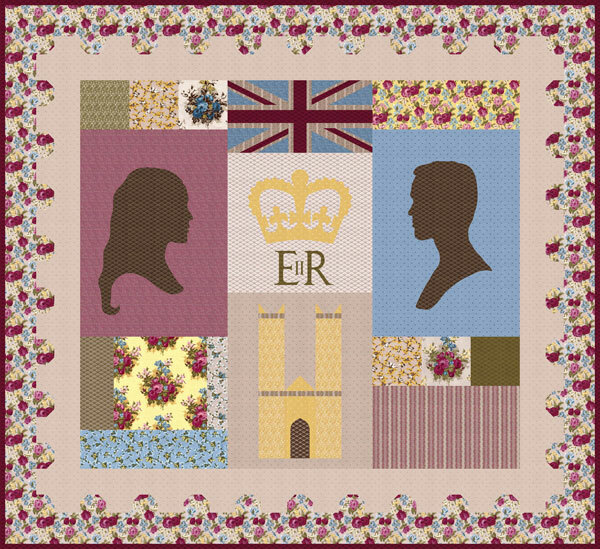 Profiles of William and Kate flank images of a crown, castle and the British flag. The pieced border is reminiscent of a crenellated castle wall. Cheers to the Royal Romance!